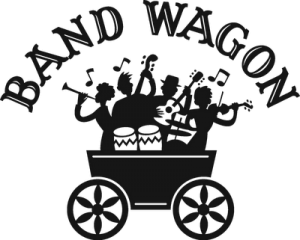 Ahh, the blogging bandwagon. I’m sure we’ve all fallen off that sucker a few times. But this time it’s different. I’m serious. I am going to get organised again. You see, I run a business and inside that business, we run a few sub-businesses. Each of these have their own websites that need their own content and herein lies the problem. Because in my business, it’s mostly just me behind the scenes wearing many hats. So what’s the solution? Getting organised with a content creation schedule. I’m not saying this is going to work for everyone, and goodness knows I’ve tried to stick to a blogging schedule many times over with mixed success. But looking at it analytically, a content creation schedule is a smart idea when you’re managing multiple web properties. Some of the websites I’m creating content for are purely video, some are a mix, some a straight blogging (like this site). A content creation schedule aims to capture all of these items and put them into one management basket. For me a schedule keeps me honest. It’s not about whether I follow it 100%, it’s about creating a way to know what is expected of myself on any particular day. Some weeks I’ll swap days if I feel like creating more content for one site, or less on another. It’s a guide, and having a guide is a very good thing. Recently I’ve been feeling overwhelmed by the amount of content I have to create for these sites. The expectations in my brain were that I had to be “on” all the time and it was starting to lead to paralysis and inaction. Isn’t That Going To Stifle My Creativity? Each of my sites has an ideas pad where I jot down the title of a blog post that comes into my head. It doesn’t have to be in any fancy system, but keeping it digital does help with organisation. For me, this is essentially just a spreadsheet document sitting on my computer with a sheet for each site. At any time when I have an idea I whip open this spreadsheet and type in the title of the blog post that I’m thinking of. This can be great if you have one idea which leads to another and another. If the title isn’t enough description, I open up the site in question, create a new draft post, and add some dot points with the key points I am trying to make with the article. This will then serve as the article outline later. While I do have a to-do list for my day, I wait until the day to choose which activities I will tackle first. Usually there’s a few quick wins on my list that I will get out of the way to get the ball rolling and then I move onto my writing while the morning is still young. You don’t have to do this though, make your content creation schedule as flexible as you like. Just make sure you get it done. I have 5 core sites that I am managing content for at the moment but I don’t try to do all of these at once. Some days I have just 1 article to write, other days where I know I’m more productive (like Mondays), I have 3-5 to do, most of which are videos that I can punch out quickly. 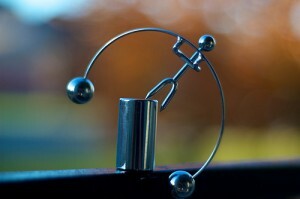 The main point is to know your strengths and weaknesses. If you find yourself skipping articles all the time, take them off that day and try putting them on another day. Otherwise, you might need to scale back the work you’ve set. Generally I find this is more about scheduling too much than too little, but it can work the other way as well. Try to find your happy medium so that it’s still fun to do. Not everyone is like Brian Clark or Darren Rowse (both well known super bloggers), but you can get yourself organised and it’s easier than you think. When I was feeling like I couldn’t keep up, I wrote out a weekly content creation schedule. I really do enjoy writing and creating content, but like anything you need to plan for success. Having a schedule will help you with that. Do you have a schedule with your websites? Have any tips for staying under control with your content creation? Leave a comment below. As a service-based business owner I feel like I have a certain duty of care to my customers and to give them first right at my attention. After all, they’re paying me good money to be attentive to their web development needs. One of the hardest things I’ve found since I started my web development business 5 and a half months ago is that if I want to work on my own projects that will lead to releasing products and to do that I have to actually make time in my schedule for it. The bit that I struggle with is the whole “how much time do I give to each” thing. At the moment the web development business is paying the bills and I’m pretty happy with how it’s going and the flow of work. So do I sacrifice some of that revenue which is generated by my time in order to create and support products and if so, how much time (and therefore revenue) do I sacrifice? I’ve been trying to come up with a creative solution to this and I’m tossing around the idea of hiring someone or maybe a couple of people. Probably not hiring in the traditional sense, but maybe developing a contract relationship with someone (or some company) overseas that can handle some of the tasks that I need to do in the web development business. The problem with that? As a bit of a quality control freak I seem to systematically lack the ability to hand over 100% to someone else when it comes to doing work for clients. I know it’s something I’ll have to do eventually but I find it one of the hardest things to do as a business owner. Anyone else get this? I’ve experimented with it a little farming out a bit of work to someone local that I trust. It seemed to go well, but as far as profitability goes, hiring someone off-shore would be much more cost effective for me. For the time being, I’m continuing work on the business projects between jobs and it’s working out ok, but I want to scale up the web development business more and I wouldn’t be able to handle the volume of work AND doing the other projects at the same time if it was just me alone still. I know I’m probably opening the flood gates here but if anyone has any recommendations for good offshore companies where I can hire workers (I’d need a graphic designer and a web developer to start) I’d love to hear from you in the comments. Please don’t post if you’re a freelancer or representative if one of those companies, I would prefer to hear from those of you that own businesses and have used an outsourcing service like this and what your experience was like. Just a quick note to let those who were waiting for it know that I’ve updated the WP Currency Converter WordPress plugin to now include a shortcode option. 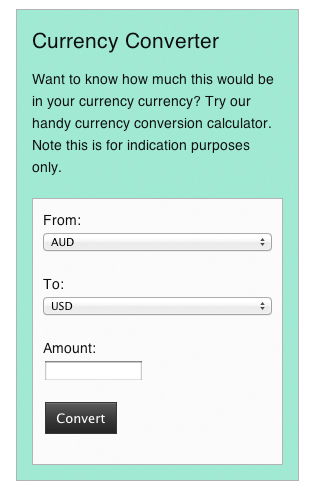 Go ahead and give the currency converter a try and let me know what you think in the comments. Keeping up with the technology of HiDPI (high dots per inch) displays, or Retina as Apple has branded it, WordPress has released a new plugin to optimize your website. These displays have become popular in smaller devices like mobile phones, even tablets, but with the recent release of the new MacBook Pro, this technology has come to a 15” monitor. Right now, most websites are not optimized through these screens, and end up having the pixels doubled up, creating a fuzzy look, not at all attractive for your site representing your brand and name. This is because these websites don’t have graphics capable of keeping up with these HiDPI screens. This is also good news for blog owners that rely highly on images and other media, as WordPress will serve High Resolution images for users that can see the images on the sites the WordPress hosts. Gravatar will also get this upgrade, making all images HiDPI ready as well. This is exciting news for all WordPress users. Other sites and companies are taking advantage of these displays, most notably cable and satellite companies that allow for streaming media to these devices. With all the talk of having no true broadcastable High Definition, these displays fill that gap, allowing for stunning quality for movies and television. So for all WordPress hosted site admins, keep an eye out for this plugin to really optimize your site, and bring an unprecedented quality to your site. As the computer and mobile display technology gets better and better, you’ll want to make sure that your site is up to date. While HiDPI screens aren’t yet the norm in full sized monitors, it soon will be, and you’ll want to be ready. Think of it as the introduction of HD-capable televisions, and stations that stayed behind the curve suffered as technology progressed. Jordan Mendys is a media professional out of North Carolina. He also blogs about social media and entertainment. You can follow him @JPMendys. I had a tricky requirement to provide an on-site currency conversion calculator on a client’s website recently and couldn’t find a good plugin to do it. There’s many different currency converters out there for WordPress, but none of them provide a decent widget or interface to configure the currencies. So I decided to code one up myself. It didn’t take long and the result of which is now up in the WordPress plugin’s directory for all the enjoy. You can read a bit more about it here, or check out the WordPress plugin page here. If you want to see what other products I’ve released for WordPress check out my WordPress plugins page. Creating a strong call to action doesn’t need to be difficult. It is, however, one of the things that most marketers struggle with regardless of the medium. On a landing page, it couldn’t be more important. The call to action is the route that your visitor must take to be come a customer and having them complete the call to action is the definition of a successful landing page. Without sounding rude, there’s a point at which you can push the language of your call to action to sound forceful and direct that will encourage your visitors to take the leap. Being direct doesn’t mean sounding abrupt. In fact, in sales a good close is one that directly asks the question of “shall we do this?”. You want your call to action to evoke only one thing and that is the decision point of saying “Yes” or “No”. The people who say no may not have been ready, they might come back later, or they might not come back at all. The people who say yes however will be the ones that are ready to take action right away. You don’t want to lose these people by not having a strong and direct call to action. If there’s a second reason why people drop off when they get to your call to action it’s because they are still concerned about something. As a landing page designer it’s your job to alleviate those concerns throughout the copy on the page. If they get to the call to action still worried that the product or service doesn’t satisfy their needs then it doesn’t matter how direct that call to action is, it won’t work. Make sure you go back through your landing page and ensure your visitors needs are all addressed. Another reason for a call to action to fail is an addendum to tip #1. You need to ask the question in the first place. A call to action without the question of whether they are ready to go for it is just a button placed there without any supposition of what they are meant to do with it. The last thing you want them to do is be wondering when they are ready to take action, “is this what I’m meant to do now?”. Came across an interesting problem recently building a web app for a client where I had a multi-dimensional array coming through via the $_POST data. Of course to use this in your PHP code you should first filter it to protect against SQL injection attacks and XSS script attacks. I came across this code from corprocat.com. A good start, but it wasn’t quite what I needed. Specifically I wanted to filter multi-dimensional arrays of N levels. Feel free to use it in your PHP web apps to escape multi-dimensional array data. Reader Questions: Do I have to specialize in a language to get into freelance programming? Had this great question come through via email from Joshua Quinn. Joshua is looking at getting into freelancing and wanted to know about whether he should specialize in something to make himself more competitive. I am new to your site and have looked through many of your articles. I have noticed that you said the best way to make money for programmers is through freelance programming. Please allow me to give you a brief history of my learnings as a computer programmer. I started programming in SQL and PL/SQL 5 years ago. 4 years ago, I started programming in Java. Last year, I taught myself C++. However, all of this education seems to be only academic and definitely not thorough enough to do freelancing with. I have taken a look at some sites that offer you the chance to bid on projects (such as freelancer.com) and noticed that the projects are quite a ways above my capabilities. I was wondering if you might be able to assist me in discovering resources that would improve my abilities to make me able to compete in the freelance environment (or direct me to one of your articles along this topic that I may have missed). Once again, thank you very much for all that you do. Thanks for the kind words, great to hear from a reader. Sounds like your experience is pretty wide and varied to me which is a good thing. I believe strongly that programmers should endeavour to become generalists when it comes to languages instead of just specialising. You’re right in the freelancing is definitely the easiest way, in fact I’ve recently launched into doing it full time which has been great. My recommendation would be to pick a specific area that you are comfortable with, like a system you use a lot, and look for freelance work in those categories. Get a website of your own up and running to let people know you are available for hire and start participating in community forums. The first big lot of freelance work that I had was via a CMS system I was coding in at the time for my full time job called SugarCRM. I was participating heavily in the development forums for the product and people started contacting me out of hours to do jobs for them. Really it’s all about finding good people to work with and they will keep sending you work if they are happy with the results. Thanks again for sending in the question Joshua. If you have a reader question that you would like answered on the blog, feel free to send it in via the contact page.